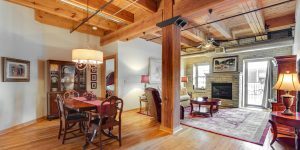 Surround yourself with lots of charm and character in this amazing two bedroom at The Warehouse Lofts. 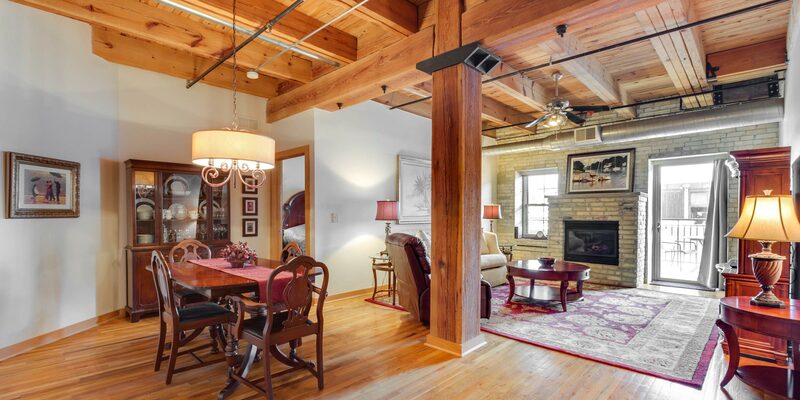 Exposed wood beam and post highlight the unit along with beautifully restored hardwood floors in every room. Cream city brick walls and charming gas fireplace. Generous master suite with 12’x7′ walk-in closet. Spacious 20’x8′ balcony with great southern exposure. Warehouse Lofts is now wired with Ethoplex Internet. 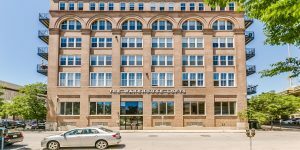 Ideally located on the new streetcar line and close to the Milwaukee Intermodal Station not to mention great dining and entertainment venues.